Thanks samplestore for sending me samples again. 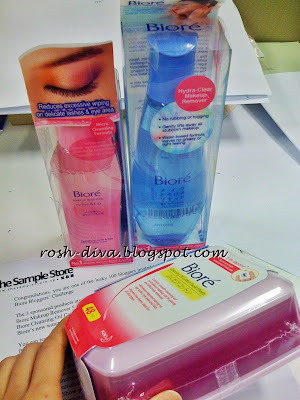 I'm going to blog about Biore Hydra Clear Makeup Remover and Biore Makeup Remover for Eye and Lip. I don't like the scent of the oil. It think it's not very pleasant. It felt as if I am rubbing Indian floral oil on my face. 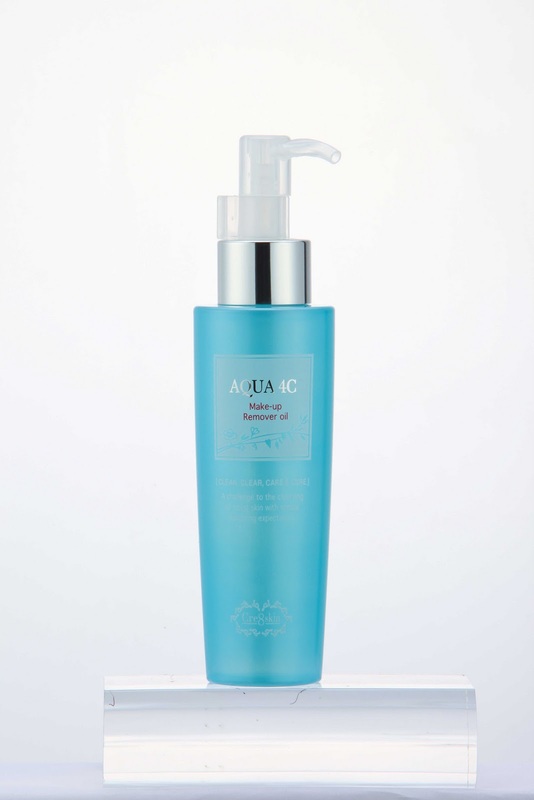 Although it claims that this rinse-off makeup remover contains a highly effective cleansing ingredient that gently lifts away all waterproof makeup without rubbing and tugging, somehow I don't feel that the makeup remover is effectively rinsed off from my face. I don't like the "unclean" feeling that lingers after splashing water on my face. Honestly, I will not purchase this Biore Hydra Clear makeup remover. The water-based formula states that it doesn't leave the skin with a greasy feeling but i think it is still very much greasy. I am not too fuss about the grease but I don't really understand why it claims that it's water-based. I had expected a more gel-like texture. Top layer: contains cleansing ingredients to soften and dissolve eye/lip makeup. Bottom layer: contains hyaluronic acid (a moisturising ingredient) to keep skin around eyes moist. I realised that Loreal's, Maybelline's and Biore's has this dual layer lotion too. This makeup remover is really good. I would say that it's much better than Maybelline's and comparable if not better than Loreal's. The price is double that of Loreal's though. But it's good that it doesn't sting my eyes and it doesn't leave any oily residue. Click on this link or the picture below to redeem a Biore cleansing set for yourself.